Rest in Peace, Trooper Dowell. We've got the watch. Deepest Sympathy to the family of Trooper Dowel and to the Brothers and Sisters of the Virginia State Police. May He Rest In Peace, knowing He gave it all. My thoughts and prayers are with Trooper Dowell's family and friends. Prayers also for my Virginia State Police Brothers during this tough time. Rest in Peace Trooper Dowell. You stood between good and evil, between right and wrong. We will never forget the sacrifice you made on our behalf. Rest easy now Trooper Dowell., and thank you. Went down range so others wouldn’t have to face evil. May God watch over your family, and you watch over the rest of the sheepdogs in blue continuing the fight with evil. Deepest condolences to your brothers and sisters at your Troop. RET. NYPD P.O. FRANK JAMES TRABAKINO . .
Rest easy Brother. Prayers and condolences for family, friends and coworkers at VSP. Rest In Peace Trooper. Deepest condolences to his family and his VSP family. May God Bless your family, friends and coworkers. God Speed Trooper. Gods peace to your family and Gods eternal rest to you Trooper. Greater love has no one than this. Rest in Peace Trooper Dowell. Thank you for your service. My Prayers to your Family both Blood and Blue. Rest in peace my brother. We wear dark glasses not to shieldthe sun, but to hide the painas we stand as one. 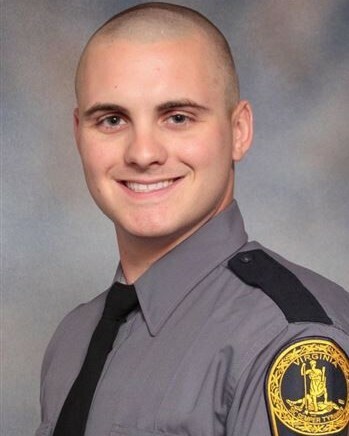 God bless you Trooper Lucas Dowell for your service and sacrifice. Thoughts and prayers go out to your family and friends, and to your brothers and sisters from the Virginia State Police Department. Rest In Peace Brother. I am so sorry for your loss. Thank you for your service. God bless. Prayers go out to Trooper Dowell and his family. Rest easy my brother. Rest in peace Trooper Dowell! Dear Almighty God, Your Strength and Confidence in us, becomes our own. With tears and the deepest respect. Rest in peace, Trooper Dowell. You deserve your divine reward.